Lightweight Aluminium framed banqueting chair with a Silver frame and seat and back upholstered in a Black fabric. Available from stock for a 7-10 day lead time. Contrasting Black and Silver banqueting chair. 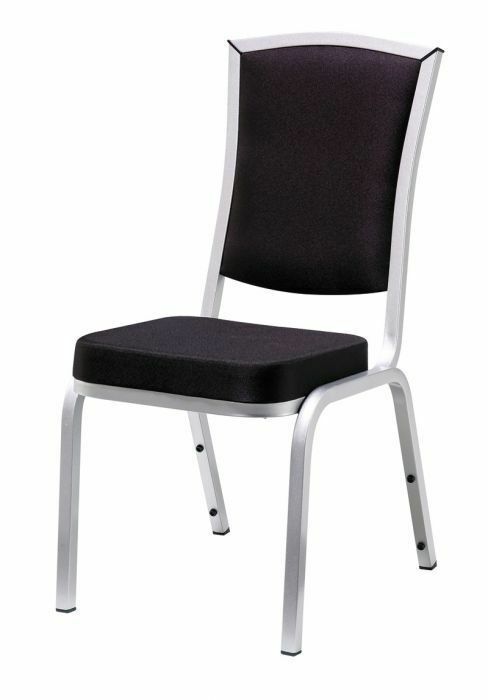 Versatile chair that can be used in a number of different applications, most suited to ball rooms and executive events. Free UK delivery.